Questions? 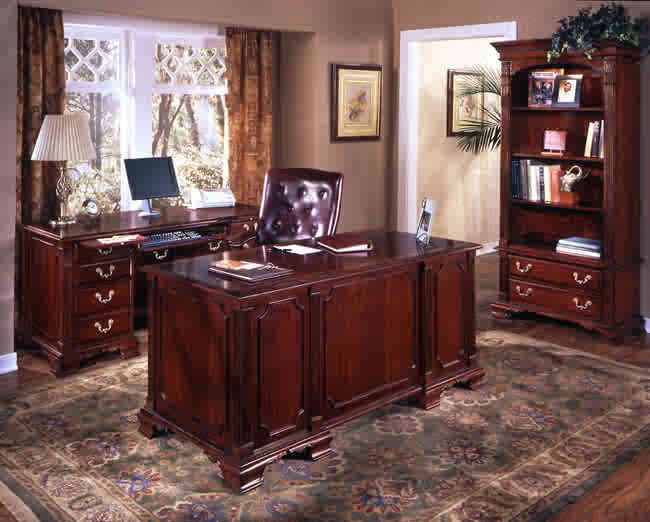 Call 856-368-9085 Sized perfectly for the small office. carrington is bold in aristocratic detail. Featured in a rich Bordeaux Cherry Finish, Carrington is complete with details of Olive Ash Burl Accents, raised panel doors and generous crown moulding on Overhead Storage and Bookcases. L units feature full sized returns. 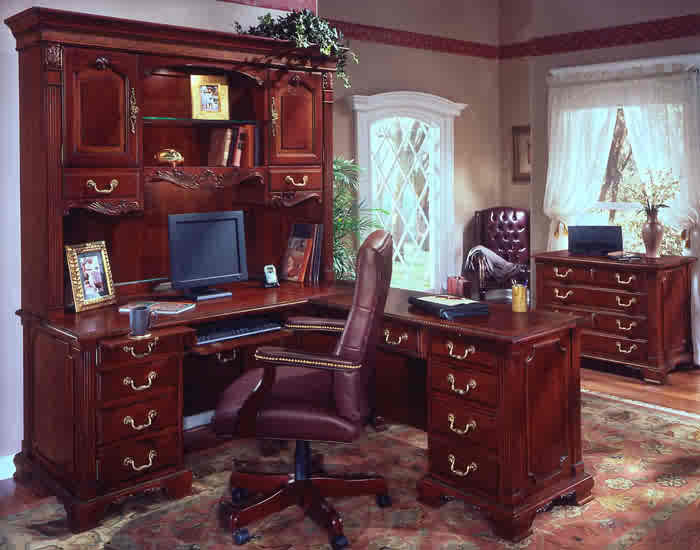 L Desks and Computer Credenzas include pull out writing shelves and CPU cabinets. Construction Constructed of selected veneers, wood solids and wood product. Drawers All drawers are suspended on metal, ball-bearing slides, full extension slides. File Drawers File drawers are suspended on metal, ball-bearing slides, full extension slides. All file drawers lock. File drawers accept letter or legal size hanging folders. Pull-out writing board / felt-lined center drawer with wood pencil tray; felt-lined box drawer with wood pencil tray / box drawer with adjustable wood dividers / fully extending locking file drawer per pedestal. Drop-front, pull-out keyboard drawer; pull-out writing board per pedestal. Left pedestal features a felt-lined box drawer with wood pencil tray / box drawer with adjustable wood dividers; fully extending, locking file drawer, which accommodates letter or legal size files. 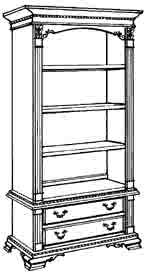 Right pedestal features a 17 x 23 x 20 computer compartment and power manager. .
Two cabinets each with an adjustable shelf; two drawers; center section features a fixed shelf; an adjustable glass shelf and a canister light; task lighting; 24" vertical clearence for computer monitor. Lateral file drawer accommodates letter or legal filing; three adjustable shelves; canister lighting.